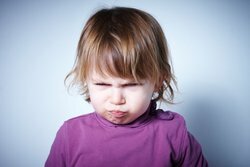 Research from the Centre for Social Justice has suggested that many four-year-old children from poor homes are so far behind their classmates that they do not know their own names and have the social skills of a two-year-old. The CSJ report 'Requires Improvement: The causes of educational failure' says an "abysmal" start in life leaves many pupils unready for school. A panel of educationalists chaired by Sir Robin Bosher produced the report and warned of thousands of children who arrive at school far behind their classmates and too immature to begin catching up. Sir Robin said: "In one school, some children at four years old are developmentally nearer to two when they start school. "This means that children need to be helped to catch up as quickly as possible, so rather than learning formal lessons, they need to be taught to use a knife and fork or how to improve their very poor language skills. "There are about 10 per cent [of pupils] in each class who are so social undeveloped that they hurt adults and other young children. But they’re unsociable because they’ve no practice at being sociable." The report warns that falling behind at the very beginning of school can be the starting point for permanent disadvantage with family breakdown likely to have long-lasting effects on children. Low attainment is particular prevalent in white, working-class boys with only 26% of white boys on free school meals achieving five good GCSEs compared with 40% of black boys on free school meals. Commenting on the findings, a Department for Education spokesman said: "This government is taking decisive action to support disadvantaged pupils and close the unacceptable attainment gap between them and their peers.